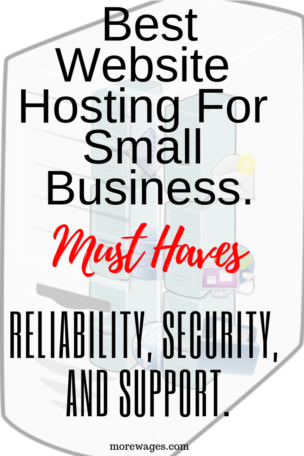 If you`re looking for hosting for your website, this post will show you the best choice of website hosting for your small business. You will see what could go wrong with a poor choice of host and 10 important features of a good hosting service. I will also show you why I chose this particular service as the best host for small business websites and why I scored it 100/100. What could possibly go wrong with hosting? Because most small businesses use Wordpress platform for their websites, it helps if your host can support that. The cheaper hosting services are not designed specifically for WordPress and therefore compatibility issues can arise. Cheap hosting platforms will also stuff your site onto a server with 1,000’s of other domains. The side effects of this can be slowing your site down with non-monitored domains. Overcrowded hosting can also open up gaping security holes. The last thing you want is extra vulnerability to hackers, spam attacks and compromised data integrity. A quality hosting service should actively protect your website from attacks. The problem created by incompatibility, overcrowded servers and vulnerability is website downtime, your customers can’t find you…not good! The stressful question is how do you fix these problems? Calling in IT professionals is an expensive and time-consuming problem. A good website host must guarantee reliability, security, and support. Kyle Loudon from Wealthy Affiliate has been teaching people how to build websites since 2002. He has some wise words here about some much-needed perspective on hosting platforms. The three top hosting priorities for a small business website are reliability, security, and support. From my own personal experience, I know if you can include technical support as part of your hosting package, you will sleep better at night! Why? Because when things go wrong with your site (trust me – they will! )…It’s nice to know you can call in an expert to resolve the issue for you. Find a service that includes tech support at no added expense. If you can find a hosting service who provides website tech support at no extra charge, you are on a winner! What Factors Define a Superior Hosting Service? 1-Simple but highly optimized hosting. 2-The ability to MOVE websites from one host to a better one, seamlessly. 3-The ability to fire up FREE Websites on demand and host multiple sites with no extra costs. 4-Frequent and reliable backup systems which often protects you from your own mistakes. 5-Up to date hosting technology on the highest powered servers. 6-Automatic recovery and minimal downtime. 8-Identify and remove plugins and themes that are known to cause problems. 10-Website integrity updates that continually improve WordPress site functions. SiteRubix technical support takes hosting to the next level. SiteRubix is a quality hosting service for small business. Premium SiteRubix hosting is owned by Wealthy Affiliate and has a community network of small business website owners just like you. Check an earlier review of WA here if you missed it. They bounce ideas off each other and get help with marketing and website development when they need it. Premium SiteRubix has a designated 24/7 technical support team to help with any website problems. My personal experience with support from WA’s hosting service. Each of these problems seems small now they are fixed, but at the time they were big frustrating issues which stopped my forward progress. The SiteRubix support tickets I submitted were responded to usually within minutes and fully resolved usually within a couple of hours. WA SiteRubix is a 24/7 service with no extra charge for technical support, unlike a number of other hosting platforms where the tech support fees are part of their revenue system, or not available at all. What else do you get with WA’s Premium SiteRubix Hosting service? Rapid Writer; This is an article creation tool for drafting plus it simply measures the keyword density in your article. Link Tracking; My-Linker is a free tool to help optimize your Internet marketing campaigns. By replacing links on your website with My-Linker links, you can track how much traffic you are sending to your merchant pages, which links are effective (and which aren’t), and which keywords users are coming to your page from. This tool will greatly benefit you in making informed optimization decisions for your site. Keyword Lists with 1000 keywords showing good search numbers and small competition. Find relevant keywords to your small business which help to improve your rank in the search engines. Keyword Tool… Find keyword ideas for your campaigns by entering phrases into the search box and get the monthly search volume (MSV) and competition count otherwise known as a qualified search result (QSR). Training Program… if you want to learn more about small business website marketing the Premium SiteRubix hosting service automatically entitles you to access all of the Wealthy Affiliate Entrepreneur Certification. This training provides straightforward lessons and live video classes. You hear names like Blue Host ,or Namechep Which I wrote about here but they do not cut it. Small Business owners can learn ways to beat online competition and scale up their exposure and conversions. Choose if you want to do some or all of the extensive WA training sessions. Or you can jump in with questions and get immediate answers via WA chat or through the WA community forum. This is all part of the awesome hosting service you get with Premium Membership at Wealthy Affiliate and SiteRubix. WA WordPress Hosting is brilliantly powerful and intricately secure. SiteRubix now also offers free SSL for everyone on the Wealthy Affiliate Platform. Encrypting your sites has never been easier. If you’ve been searching for a good host you will know that other services charge up to $500.00 per year for SSL encryption. In the coming months and years, it will be imperative that your website is SSL secured. SiteRubix gives free SSL Security Certificates to all members. This is an advanced service which very few other hosting services offer. At Wealthy Affiliate’s SiteRubix you get all these features as standard for all of your websites. Everything…hosting, training, technical support and community support is included in a monthly fee. How much is Premium SiteRubix website hosting for small business? Up to 50 websites hosted and supported for just $49.00 US per month! Pssst…you will find the tips at the bottom of the review. Find out more about my 100/100 choice as the best website hosting for small business here. Psst, Don`t say I told you this even Dom from Humanproofdesigns.com learned what he knows from Wealthy Affiliate. Thanks for stopping by. Leave your questions and comments below and I will get back to you as soon as possible. While I do appreciate the idea of being able to do an almost infinite amount of tweaks to your website, WordPress has always seemed too complicated. —I tried to understand it twice over the years and couldn’t quite grasp the very many options. —That’s why, when we became serious about starting our blog, we could the drag and drop convenience of Wix. It’s been two and a half years and, while I have finally could probably appreciate having more options, we have invested too much time and effort to switch over. And truth be told, we may not have made it this far if it hadn’t been so easy to keep things updated. But thanks for sharing valuable info. Wow, that`s where you`re wrong, why do you think 70% of internet websites are created on WordPress? 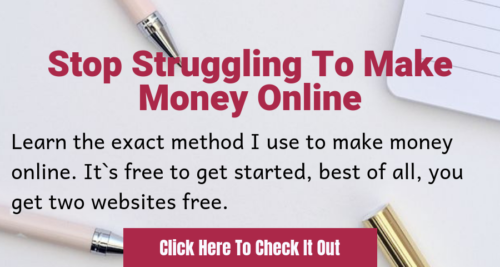 it`s so easy to use and really reliable.Can i tell you what? if you create a website on WordPress,you`ll never think of Wix again and you`ll be wondering why you did not do it in the first place. Know what, join me here and I will help you create a professional looking WordPress website in less than 5 minutes.